SNAFU! : BAE Systems is talking up their ACV! BAE Systems is talking up their ACV! 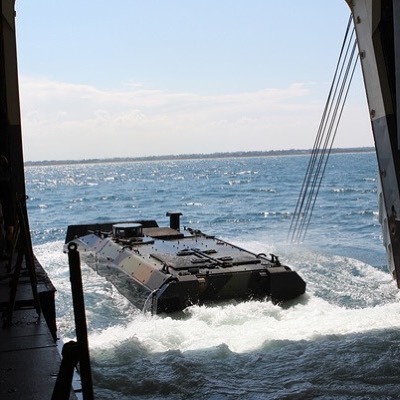 Our fully amphibious ACV 1.1 offering provides greater ship-to-shore capability than any similar vehicle in the world. Sounds like boasting you say? I say its much more. They're not only taking aim at the ST Kinetics/SAIC rig but they also have the Hyundai Rotem 8x8/6x6, the various Chinese amphibious vehicles as well as the coming Turk vehicle in their sights. The amphibious armored vehicle race is on. The USMC might not be that interested in the market (I say that based on the number of vehicles being bought) but the race is on none-the-less.